The call has gone out for Guildford parish councils to come together in an effort to fully understand the impact of the draft local plan. It comes as results of a survey claim people see no benefit of the draft plan for their parish, that the documents are too complicated and that the information given was not impartial. The survey was the idea of Fiona Curtis, the former chairman of Compton Parish Council, who had a gut feeling that parishes were upset and wanted to test this out. “The level of concern about the draft plan as it is today will hopefully not be underestimated,” Cllr Curtis said. “Feedback from meetings and other forums indicates lack of ‘buy-in’ or local support on some scale. Cllr Curtis contacted 22 of 24 parish councils in the Guildford borough, plus six resident associations. All the resident groups and 13 of the parish councils took part in the survey. Asked how user-friendly the documentation was, seven said it was too complex, nine that it was far too complex, one thought it was reasonably complex, and only one found it understandable. In terms of impact on the parish, 12 thought it would be considerable. Only two of the 19 responding felt that information in the draft local plan was completely impartial. Cllr Curtis has invited residents’ associations to sign up to the newly formed Guild-ford Parish Forum. 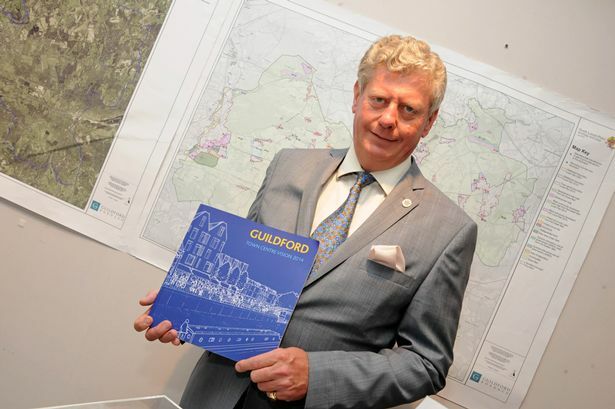 “Because the local plan is going to affect the whole of Guildford, not just individual parishes, it seemed sensible for parishes to have a wider view and understand each other’s position and share information as well, because we are all fairly baffled,” Cllr Curtis said. The survey ran throughout August. Cllr Curtis believes the Guildford Parish Forum will be around for some time and will be useful for other issues, such as traffic. There will be the odd meeting, but it will not be too onerous, she predicted. Those wanting to join and be informed of future surveys can email Cllr Curtis at fionacurtis@btinternet.com or call her on 07901 893 000.